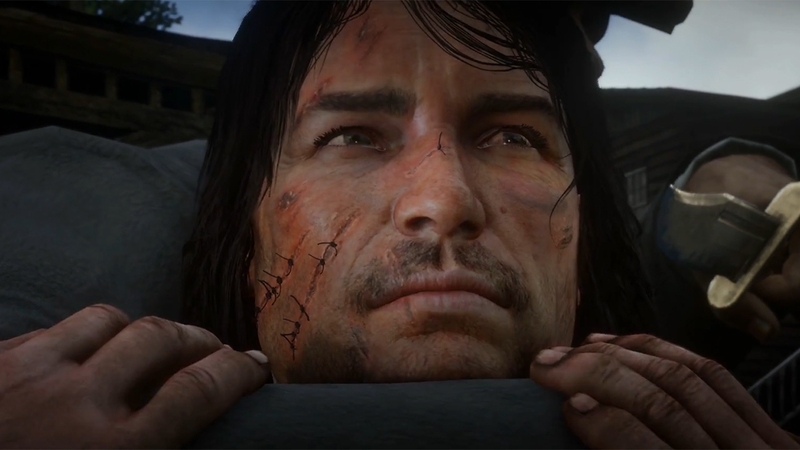 Red Dead Redemption 2 just got a new trailer released. A lot of narrative was teased throughout the 2 minute video, but one of the more exciting parts for fans of the series is a certain scarred man with a knife held to his throat. That's right, the game seems to include John Marshton in his younger days. The synapsis of the game from Rockstar is, "The end of the Wild West era has begun as lawmen hunt down the last remaining outlaw gangs. Those who will not surrender or succumb are killed. After a robbery goes badly wrong in the western town of Blackwater, Arthur Morgan and the Van der Linde gang are forced to flee. With federal agents and the best bounty hunters in the nation massing on their heels, the gang must rob, steal and fight their way across the rugged heartland of America in order to survive. As deepening internal divisions threaten to tear the gang apart, Arthur must make a choice between his own ideals and loyalty to the gang who raised him." So you play as Arthur Morgan, and are part of the same gang that Marshton was a part of. This is probably how you end up seeing him at knife point in a hostage situation. The original game took place in 1911, but this prequel takes place in 1899, so there is a lot of room for growing up for everyone between this game and the first. You can also expect to see a lot of other familiar faces throughout the game if you've played the first one. Are you excited to see Marshton returning in the prequel? Red Dead Redemption 2 is supposed to come out October 26 on PS4 and Xbox One. There have been delays already, but they promised there won't be any more. I guess we'll see.